just a bit frayed: Sister Sampler Quilts - A new book from Gen X Quilters! 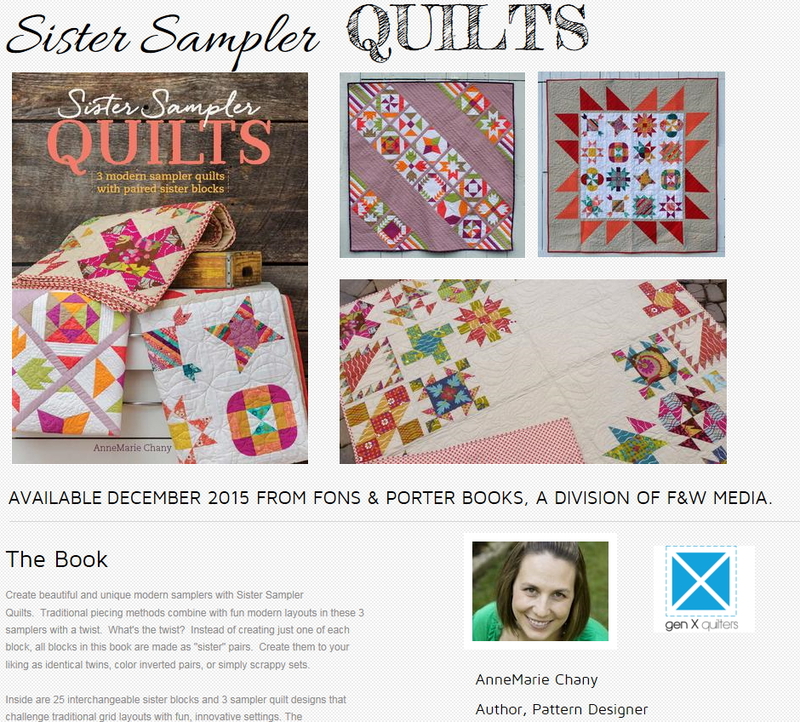 Sister Sampler Quilts - A new book from Gen X Quilters! 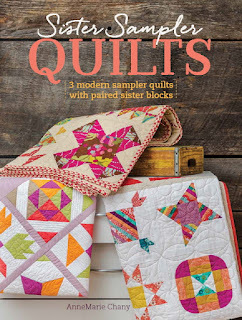 I'm pretty excited about a new book by my friend AnneMarie from Gen X Quilters! Sister Sampler Quilts: 3 Modern Sampler Quilts with Paired Sister Blocks is a really cool concept. 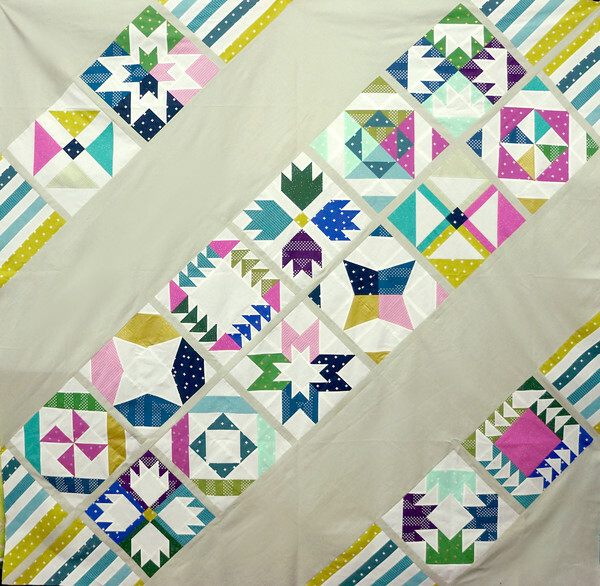 AnneMarie shows you how to make 25 blocks (which have a modern flair to them) and then 3 different layouts for the blocks. Of course you can use these blocks in any way that you would like (pillows, quilts on their own, your own layout) but I really like that AnneMarie has given us some non-traditional quilt layouts. We ran her Moccasin block of the month at our shop, Pink Castle Fabrics, for 2015 and it got a great turnout and good reviews! It's inspiring to see quilts that aren't just blocks all lined up in a row with sashing. When we received the Sister Sampler quilt book I was so excited that the girls and the shop and I went to work and made up an entire quilt top! We used Cotton and Steel Basics and some RJR Cotton Supreme Solids for the background! I think it turned out really great! I can't wait to see what it looks like all quilted up! We will be running this as a block of the month at Pink Castle Fabrics for 2016! We used the Vice Versa pattern in the book for this quilt. I really love the striped blocks on the edges! Head over to Pink Castle to join the Block of the Month and you will get the book your first month! I hope you all love the book as much as I do! Thanks AnneMarie for sending me a copy! Love your color choices! Lovely top! Quilting books are no doubt a great tool for anyone with an interest in the hobby from beginners to well seasoned pros. For the one who would like to take up the hobby of quilting, having a good quilting book will make it much more enjoyable. A quilting book will give you the guidelines that you need to understand the techniques and patterns in this beautiful art form.